Each of these thinkers focused on a a different aspect of 19th & early 20th century society and each developed a different set of conceptual tools for its analysis. Together, they laid the groundwork for present-day sociology. This course will explore why and how they did so. It will show how theory works in social science — by laying bare the underlying patterns that structure social life. 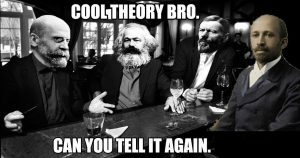 By the end of the course, you should be able to see the presuppositions on which social theories are based, understand how they are constructed, and appreciate the consequences of using one or another of them to analyze society. 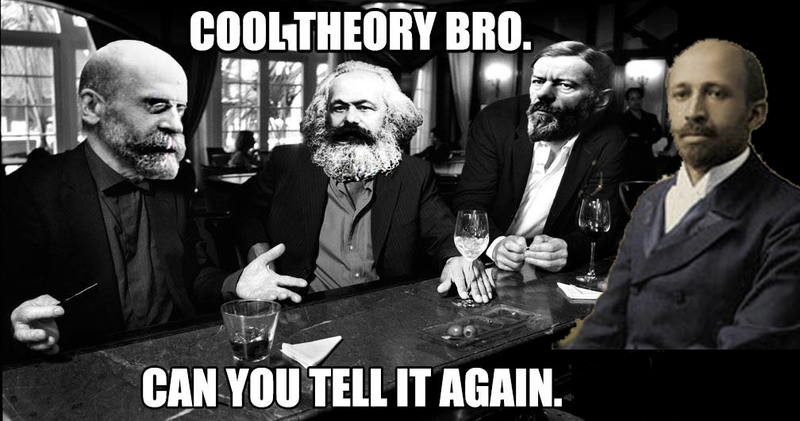 Though we will learn to think through the classical theories by applying them to present-day problems, we cannot forget the socio-historical context in which they arose. Most classical social thought arose out of a White, male, European attempt to understand modernity and its discontents; Du Bois is the outlier, here: being Black and American made it impossible for him to ignore the U.S. racial caste system. To understand these four theorists, we will have to learn something about the social transformations of the 18th and 19th centuries, in both Europe and the United States. Yet, our interest is not antiquarian. The analytic systems developed by these four “founding fathers” of our disciplines still dominate our thought, whether or not we realize it. By understanding them, we can understand most of the social science that has followed.